The Switzerland-based International Union for Conservation of Nature has updated mountain gorillas' status from "critically endangered" to "endangered," a more promising, if still precarious, designation. There are more gorillas in the mist — a rare conservation success story, scientists say. After facing near-extinction, mountain gorillas are slowly rebounding. On Wednesday, the Switzerland-based International Union for Conservation of Nature updated mountain gorillas' status from "critically endangered" to "endangered," a more promising, if still precarious, designation. There are now just over 1,000 of the animals in the wild. 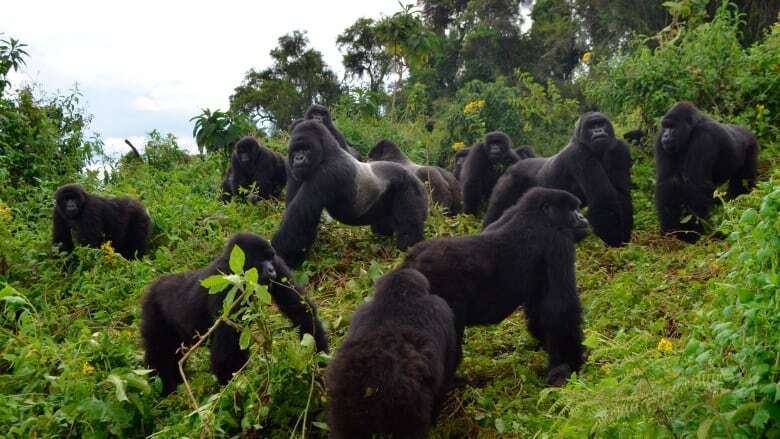 "In the context of crashing populations of wildlife around the world, this is a remarkable conservation success," said Tara Stoinski, president and chief scientist of the Dian Fossey Gorilla Fund. The Atlanta-based non-profit is named for the primate researcher whose work helped draw international attention to mountain gorillas and whose memoir became the basis for the 1988 Sigourney Weaver film Gorillas in the Mist. "This is a beacon of hope — and it's happened in recently war-torn and still very poor countries," said Stoinski, also a member of the IUCN's primate specialist group, which recommended the status change. Mountain gorillas live in lush and misty forests along a range of dormant volcanoes in east Africa. Their habitat falls inside national parks spanning parts of Rwanda, Uganda and the Democratic Republic of the Congo. 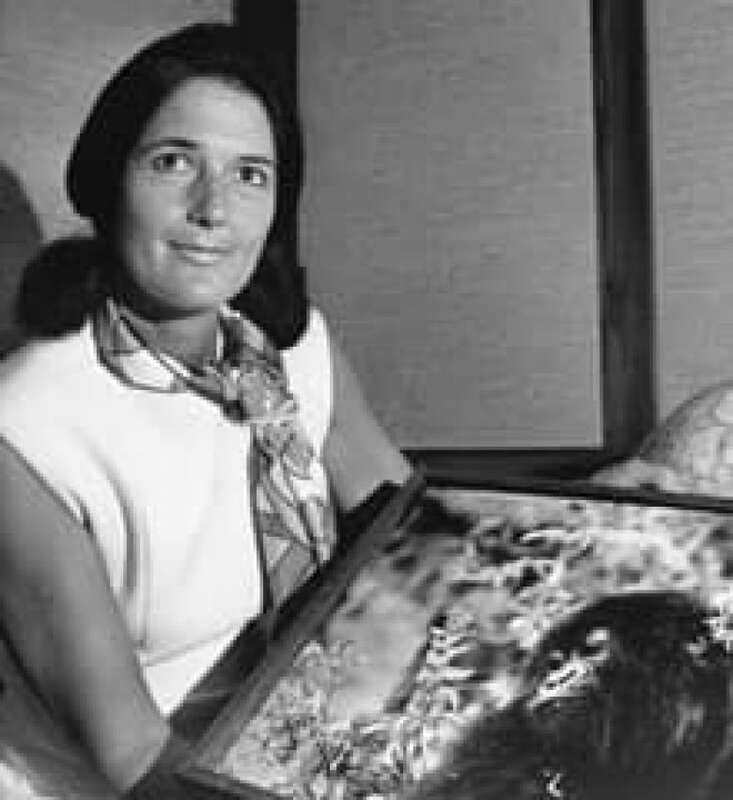 Fossey, who died in 1985, had projected that the primates may be extinct by 2000. Instead, their populations have been slowly increasing thanks to sustained and well-funded international conservation efforts. "We have made progress in terms of their protection, in terms of allowing an environment where mountain gorillas can continue to thrive and grow," said Anna Behm Masozera, director of the International Gorilla Conservation Program, based in Kigali, Rwanda. "But it's important to note that mountain gorillas' numbers could still slip back very quickly. We still have just two fragile and small populations," split between two national park areas. Several factors have enabled mountain gorillas' modest rebound, said Masozera. The three governments have stepped up enforcement of national park boundaries — areas where hunting, logging and paved roads are illegal. Tourism helps too: Visitors pay up to $1,500 an hour to watch gorillas, money that helps pay for park rangers. "Primate ecotourism, done right, can be a really significant force for funding conservation," said Russ Mittermeier, chief conservation officer at Global Wildlife Conservation. "It gives local governments and communities a tangible economic incentive to protect these habitats and species." There's also health care. Gorilla Doctors, a nongovernmental group, has trained veterinary staff in each of the countries where the mountain gorillas live. Hunting in the national parks is illegal, but nearby residents still set traps to catch other animals, such as antelopes. Those traps can also grab gorillas' arms and legs. When gorillas are found struggling with snares, the vets are called in to clean wounds. Kirsten Gilardi, U.S. director for the organization, called it "extreme conservation." 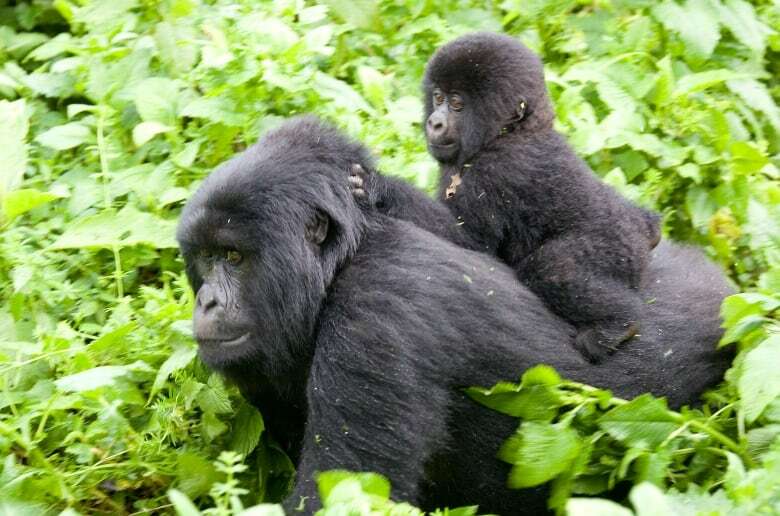 Other experts said the emergency vet interventions play a significant role in maintaining mountain gorilla populations. "It's a total conservation win, and there aren't that many of them," said Gilardi.